Rectangle pendant with a detailed Vancouver Island design, in argentium silver. 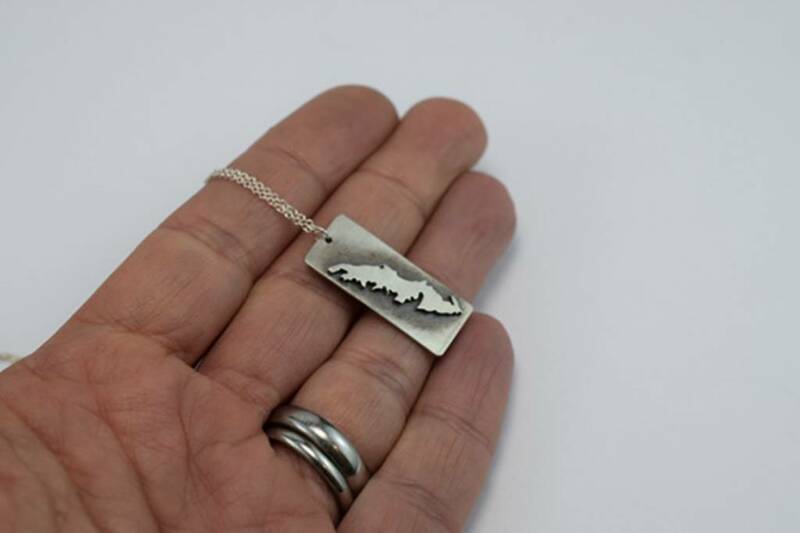 This bold map design is the perfect unisex necklace for Vancouver Island enthusiasts. 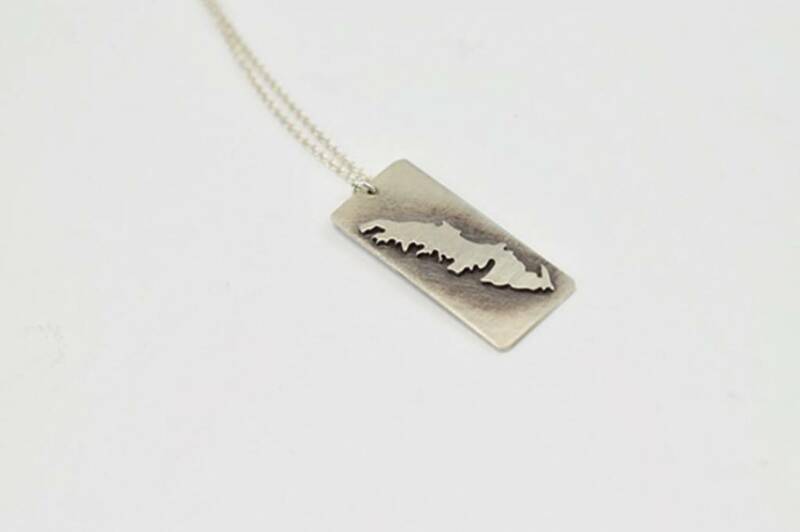 Made with argentium silver rectangle pendant has a detailed Vancouver Island design. Hung on a 32" chain and measuring approximately 1" each pendant is individually hand cut, so may vary slightly from image shown. Part of the West Coast line of Loops Jewellery, made in Victoria, BC.